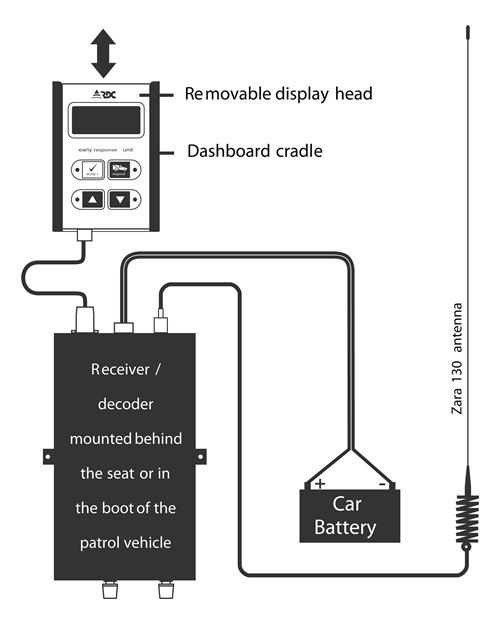 RDC's in-car monitoring system is designed to improve reaction times for security companies using the RDC system. 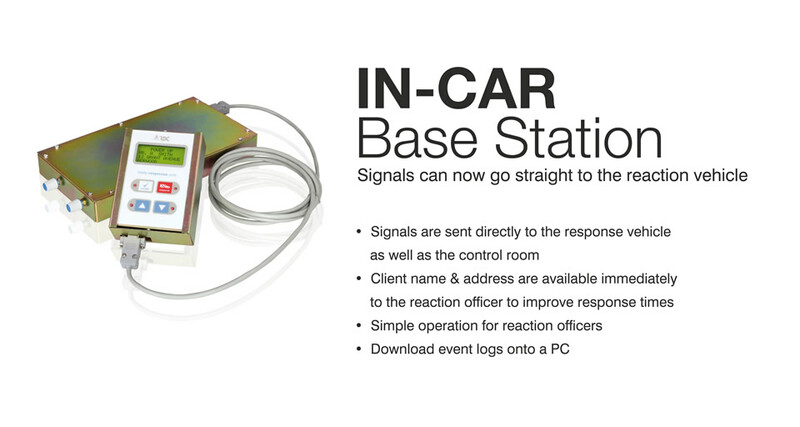 Signals can now be sent simultaneously to the control room and the response vehicle/s, where customer details are instantly available to the patrolling reaction officer. The LCD display shows the customer name and address (can also include contact telephone numbers and cancellation codes if needed). This means that the reaction vehicle can start responding to a critical signal immediately, while the information is still being processed by the control room, dramatically improving reaction times. An audible alarm alerts the officer to critical signals. Operating the unit is very simple for the reaction officer. The system is an opportunity for security companies to gain a significant edge over competitors when targeting specific areas. Customer details can be entered into the display head using a standard PC or laptop with the custom RDC software provided. An existing client database can also be extracted from your monitoring software (Listener only) and then uploaded into the unit. The removable display head makes it easy to move the unit from the reaction vehicle for connection to a PC. Event logs can also be downloaded from the display head onto a PC should it be required to track the actions of the reaction officer.